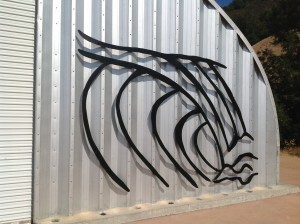 The client wanted an ocean wave on his galvanized barn, to bring the sea up to his mountain property. We started from an enlarged photograph of a painting, and transposed this via a grid onto a sheet of aluminum. 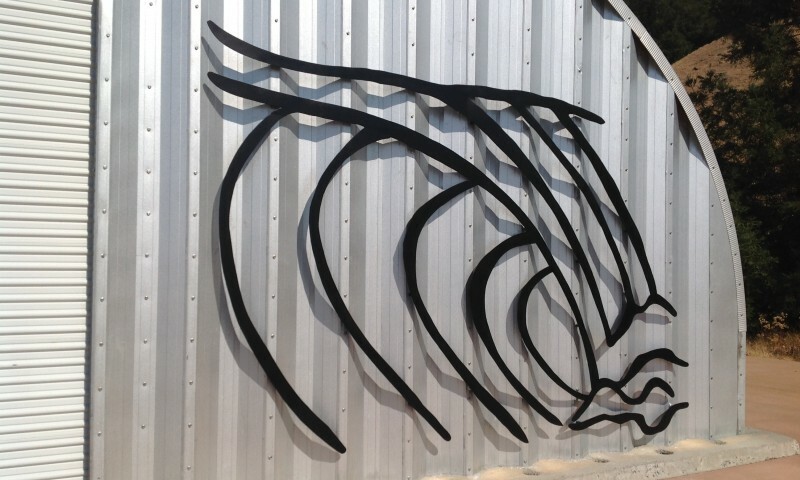 The individual parts were cut out with a plasma cutter and welded into workable sections, then painted and bolted into place. Surf’s up!